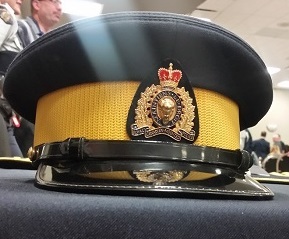 A Dillon RCMP member is facing a breach of trust charge after allegedly accessing private images from a surveillance video recording taken in the cell block area of the Buffalo Narrows detachment. Two other Dillon RCMP officers came across and reported the information on Oct. 13. Prince Albert RCMP’s General Investigation Section have found that at least one still image had been copied and printed from the video. Constable Wade Chitrena was charged on Tuesday and is scheduled to appear in court on Jan. 16, 2019 in Dillon. Chitrena has served for nine years with the RCMP and has been suspended with pay. This incident is under investigation. The female in the images has been notified about the matter.